An Abu Dhabi firm has revealed plans to tow icebergs from Antarctica to the UAE in early 2018 to harvest for drinking water. The National Advisor Bureau Limited has announced the launch of the official UAE-Iceberg Project website to highlight the most significant stages of the project, and its intended benefits in relation to the environment and the economy. The launch of the website coincides with the ‘Year of Zayed’ 2018, as the project aims to support the response to water calamities such as drought worldwide, and support other water projects aimed to promote the humanitarian work. 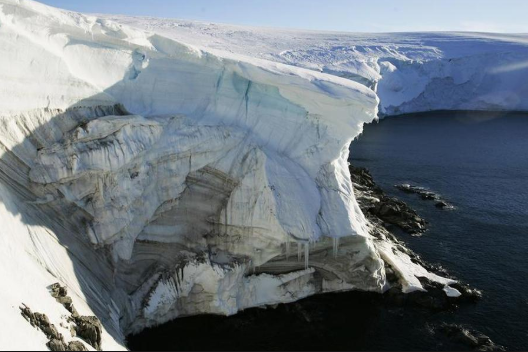 The National Advisor Bureau Limited put forward the project of towing icebergs from Antarctica to the UAE coasts to leverage them as new sources of water in the region. A scientific committee is now being set up consisting of scientists, experts, and specialists in the nature of Antarctica, icebergs and marine science, as well as initiating collaboration with water research centres and universities worldwide. The company is currently developing a unique technology which would reduce project costs, ensure zero ice melting during the transportation phase, and facilitate water-transfer processes to costumers at minimal costs. The details of the advanced technology are expected to be officially announced during the fourth quarter of this year. Reportedly, the cost of the project is estimated at US$50-60 million. The necessary steps will be taken to tow the icebergs to the eastern coast of the UAE during the first quarter of 2020. The project would also place the UAE on the glacial tourism map as the first desert country to offer glacial tourism on its coasts, saving iceberg enthusiasts the trouble of travelling to the North and South Poles.